Since he assassinated the Nowhere Man, Vincent Prague hasn't been the same, haunted by the ontological impossibility of the kill. His celebrity status has skyrocketed, however, and everybody wants a piece of him. The MAP (Ministry of Applied Pressure) promotes him to Anvil-in-Chief, the catbird's seat of special agents. Under the so-stupid-it's-genius alias "Vincent Codename Prague," he works a case that leads him to the Former Czech Republik's Prague, a dark cirque du city where androids run wild, femme fatales chronically manhandle him, and a mad chef named Doktor Teufelsdröckh has created a Hitler-Keats-Daikaiju hybrid that would make Frankenstein's monster sing like a Von Trapp. In an over-technologized world of constant reckoning, all Vincent has are his wits, his weapons, and a briefcase full of replaceable extremities to crack a mysterious code that, he soon discovers, resides within himself. 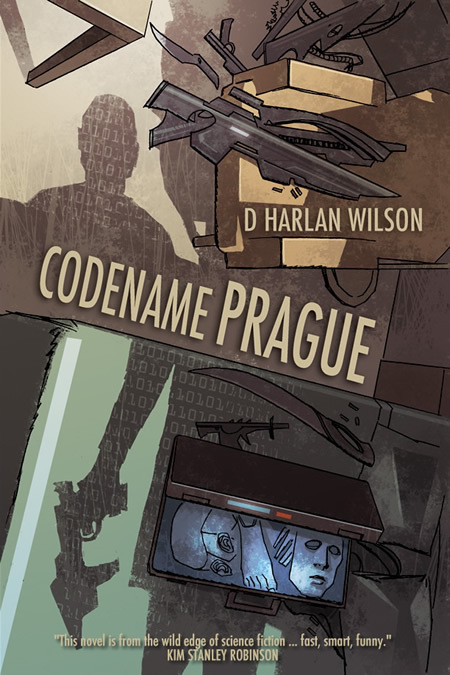 Codename Prague is the second installment in the Scikungfi trilogy and includes an introduction by Steve Aylett.